Thanks for stopping by my new blog home! Hi there! 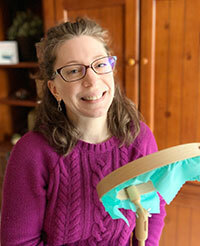 I'm Beth Colletti and welcome to the home of my new art and craft blog! Hello and welcome! I’m Beth and love helping women relax with an embroidery project while practicing a little self-care. I hope you enjoy exploring the tips and tutorials on my site! You can read more about me here, and explore the patterns and kits I offer in my shop.